Our pets truly depend on us, and an increasing number of people have discovered that they depend on their dogs, cats, and other animals for help, too! We'll show you how to make your dog a service dog, and how quick and easy service dog registration is! We'll also show you how ESA registration can help you keep your dog, cat, or other animal for free in a "no-pet" apartment, house, or condo. Some dogs are trained to perform important tasks for us that we either can't — or have great difficulty performing for ourselves. If this is something your dog does, then you can use NSAR's easy service dog registration process to legitimize your dog! Many of our dogs and cats calm our anxieties, lift our spirits, and help us function more normally on a day-to-day basis. They serve as emotional support animals for us. You can formalize your pet as an emotional support animal by using our ESA registration process. If you have a physical and/or emotional need that is made better by your pets' presence or because it helps perform a task for you, then you're considered disabled, and we can easily show you how to make your dog a service dog (or qualify with our ESA registration). There are federal laws designed to prevent you from being discriminated against, and to allow your registered service dog to accompany you in public — even when pets are not allowed. You are also permitted to live in housing with your registered service dog or your registered ESA when pets are not allowed - and with NO FEE. National Service Animal Registry's service dog registration and ESA registration helps you learn how you can fly with your pet in the cabin of an aircraft - and with no pet fee. All because you are considered "disabled." 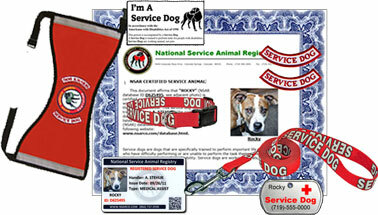 Press here to learn how to make your dog a service dog with the NSAR service dog registration. 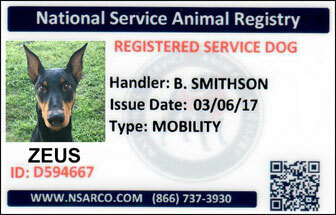 NSAR has been the USA's best service dog registry since 2009, assisting thousands of clients with service animal certification and service dog training education. 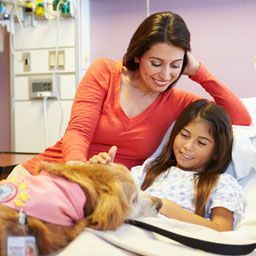 Our knowledgeable staff are experts in areas of federal law and the protections afforded to disabled persons and their emotional support animals (ESA) and service dogs. We understand that service animals play an important role in many peoples' lives, which is why we've made it our mission to educate others about service dog training and registration. Our service dog registry is committed to helping the disabled enjoy the benefits of a service dog or ESA by providing educational services, easy service dog certification, and minimizing embarrassing confrontations. It's not difficult to qualify for effective, legitimate service animal registration; just follow our simple two-step process. 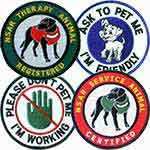 Join the many thousands of satisfied National Service Animal Registry clients and assist the approval process for no-pet housing approval with no fee by taking advantage of NSAR's service dog certification. 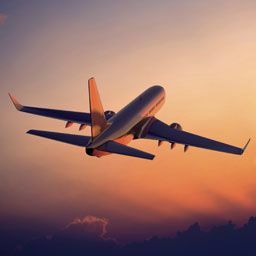 Other benefits of using America's best service dog registry include reduced stress when your service dog or emotional support animal fly in the cabin of an aircraft with you and not pay a fee. 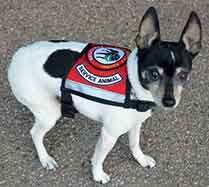 You can also have your service dog accompany you in restaurants, grocery stores, the mall, taxis, and buses. 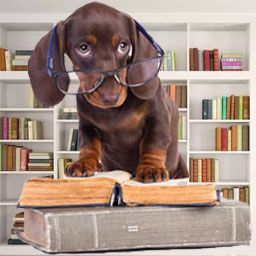 If you need help with service dog training, just let us know! Whether you're eager to learn more about the service animal certification process or you have any questions about getting your dog registered, we're happy to help in any way we can. Our pets truly depend on us, and an increasing number of people have discovered that they depend on their dogs, cats, and other animals for help, too! We'll show you how to make your dog a service dog, and how quick and easy service dog registration is! 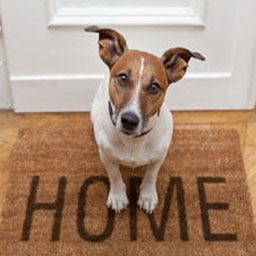 We'll also show you how ESA registration can help you keep your dog, cat, or other animal for free in a "no-pet" apartment, house, or condo. Some dogs are trained to perform important tasks for us that we either can't — or have great difficulty performing for ourselves. If this is something your dog does, then you can use NSAR's easy service dog registration process to legitimize your dog! Many of our dogs and cats calm our anxieties, lift our spirits, and help us function more normally on a day-to-day basis. They serve as emotional support animals for us. 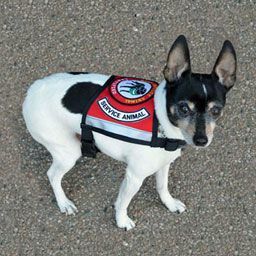 You can formalize your pet as an emotional support animal by using our ESA registration process. If you have a physical and/or emotional need that is made better by your pets' presence or because it helps perform a task for you, then you're considered disabled, and we can easily show you how to make your dog a service dog (or qualify with our ESA registration). There are federal laws designed to prevent you from being discriminated against, and to allow your registered service dog to accompany you in public — even when pets are not allowed. You are also permitted to live in housing with your registered service dog or your registered ESA when pets are not allowed - and with NO FEE. National Service Animal Registry's service dog registration and ESA registration helps you learn how you can fly with your pet in the cabin of an aircraft - and with no pet fee. All because you are considered "disabled." 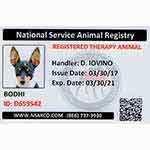 Click here to learn how to make your dog a service dog with the NSAR service dog registration. 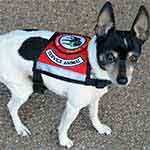 Determine which you qualify for: A service dog or an emotional support animal (ESA). We'll help you with this. 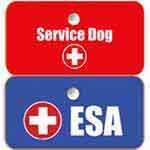 Select which service dog registration or ESA registration kit you want: We have a registration kit for every budget. Upload the image of your pet, and within a few days, our professional service dog registration kit or ESA registration kit will be in your hands. 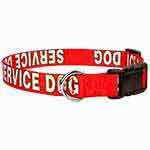 Don't forget, it doesn't matter what you purchase from National Service Animal Registry, we back EVERY order with a 100% No-Risk, 30-day, money back guarantee! Changed your mind? Unhappy for some reason? Just let us know, and we'll refund 100% of your order! 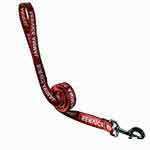 Order with confidence from the original and foremost service dog registration company. 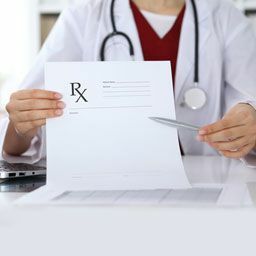 Excellent registry! I have used NSARCO for over ten years and highly recommend them. I have great responses to my service dog, Leo. I have NOT received any complaints anywhere. I have spoken to many people about this service from NSAR. People have told me that this is just an online registry, but I believe it is the best thing that has ever happened to me.